A broken cable or connector may result in a motor connection problem. On Niryo One Studio, you can easily see the warning : “Motor Connection Problem”. If you detect a problem here, then you need to investigate to know whether this is a cable problem, a motor problem, or something else. 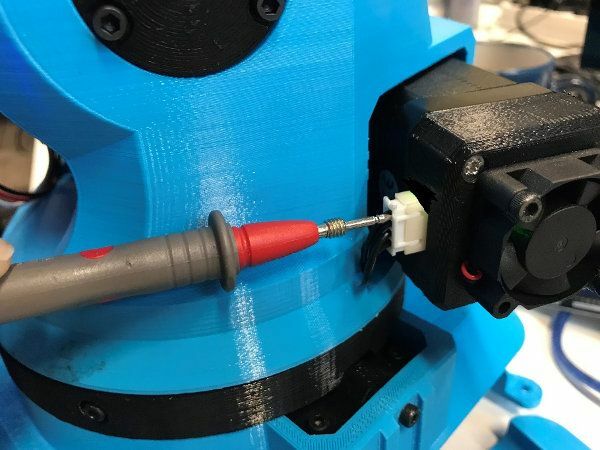 If everything seems normal but you still get the “Motor Connection Problem”, chances are that you have a broken cable somewhere. 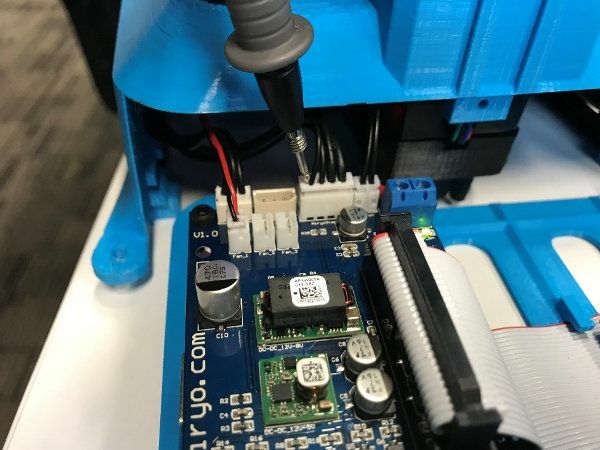 We’ll see how to use a multimeter to check if the connection is OK between the motors and the Niryo Raspberry Pi 3 Shield. This will help you detect any broken cable or cable connector. 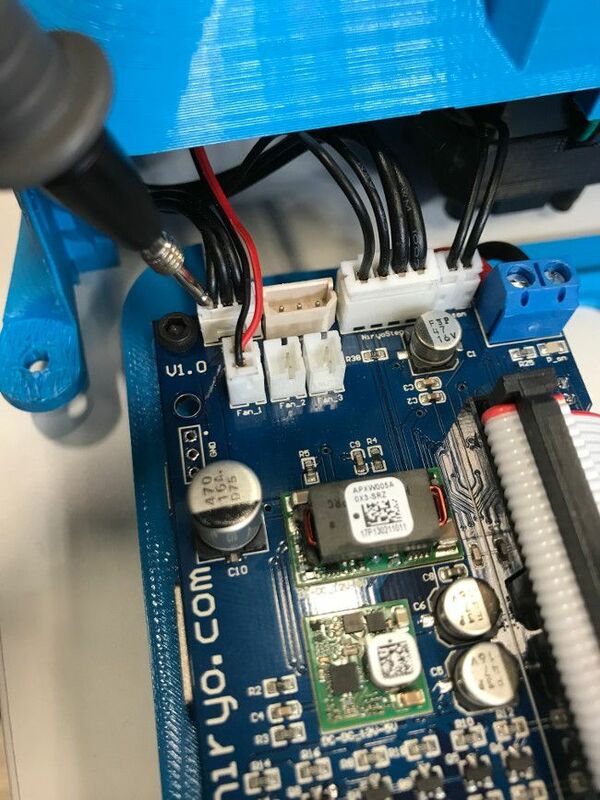 During the assembly of the robot, it is possible that you accidentally damaged the wires with the long screws for the aluminum tubes. 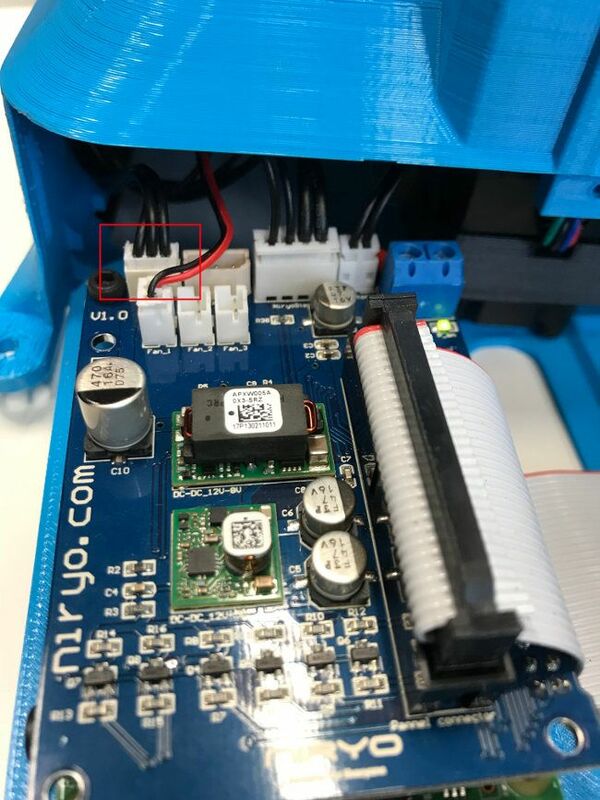 On the Niryo Raspberry Pi 3 Shield, here’s where you can find the CAN bus interface, which is used for all the Niryo Stepper motors. There are 4 wires for the CAN bus, from left to right : CAN high (thin), CAN low (thin), VCC (large) and GND (large). 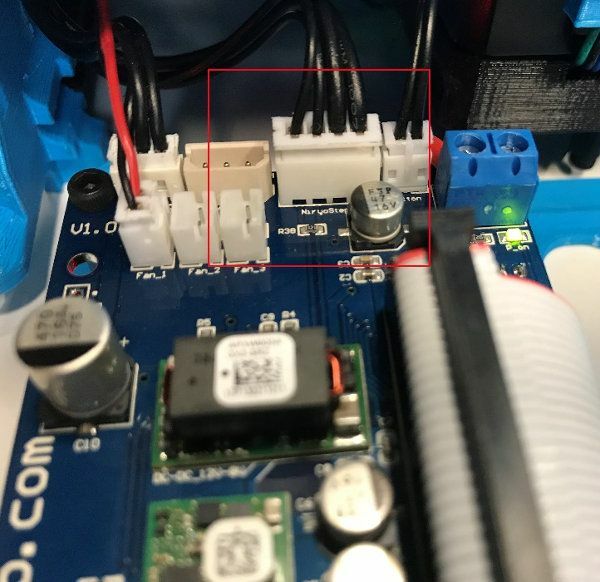 You can locate the same connector on each Niryo Stepper. Then it’s easy to know which wire is which : you’ll see 2 thin wires and 2 large wires. !!! Before using a multimeter, make sure that you have powered off the robot and unplugged the power adapter !!! Take your multimeter and set it in continuity mode. 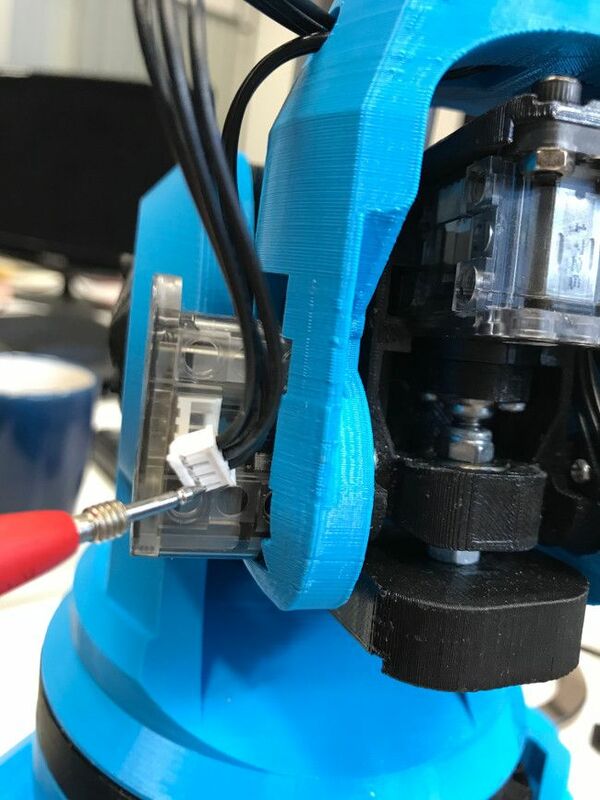 and make the red probe touch the CAN high wire on a Niryo Stepper. 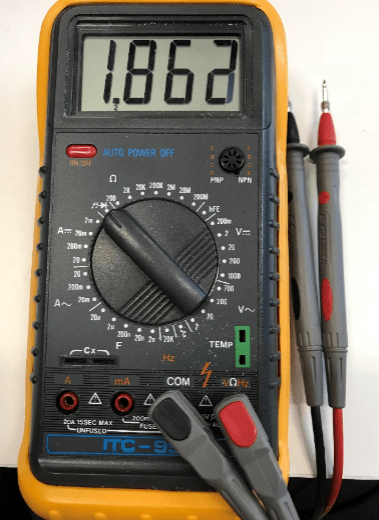 If the value you see on the multimeter is approximately 0, this means the continuity of the wire is good. Now you can test the continuity for each wire between the shield and each motor, and between motors themselves. You’ll be able to quickly detect any problem related to a broken cable. You can use the same method to test the continuity for each wires of the Dynamixel bus. From left to right : Data, VCC, GND.